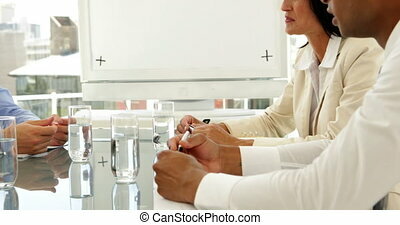 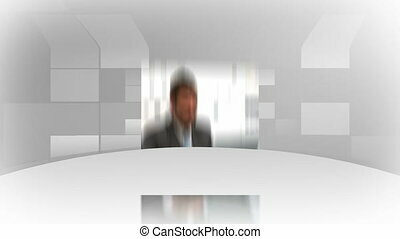 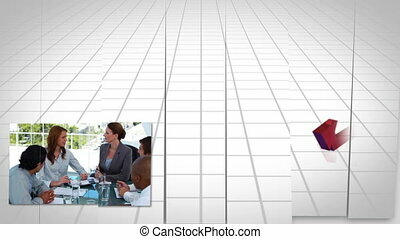 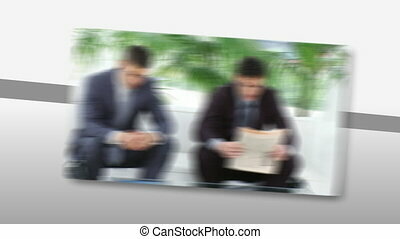 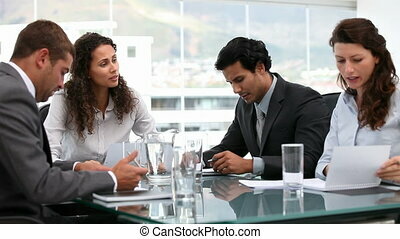 Cheerful business people at meeting sitting at a table. 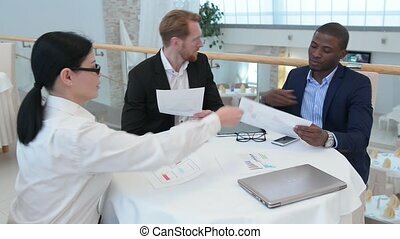 Business meeting in restaurant. 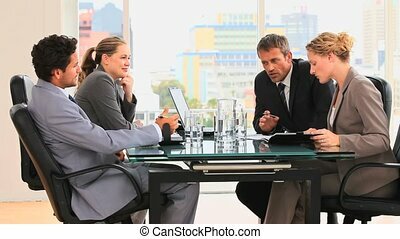 Business people communicating about business projects and strategies while sitting at table. 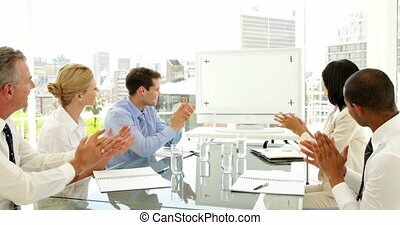 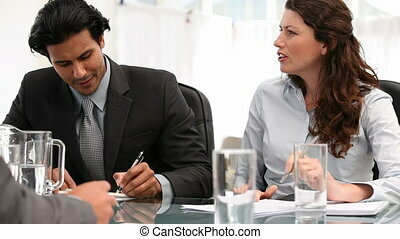 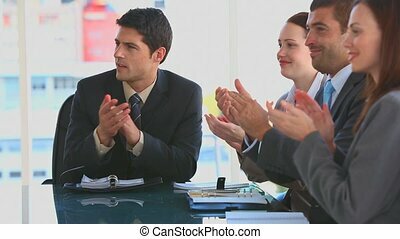 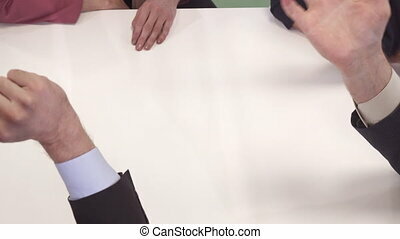 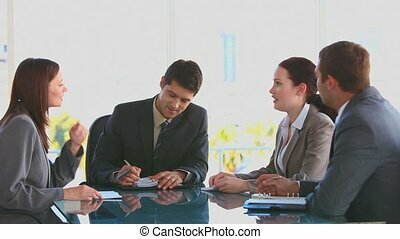 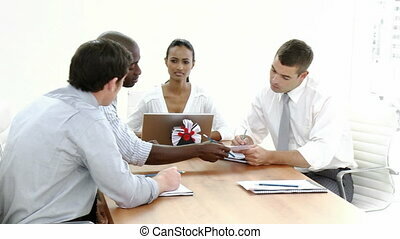 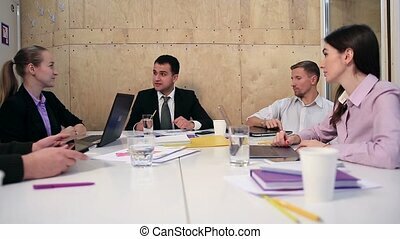 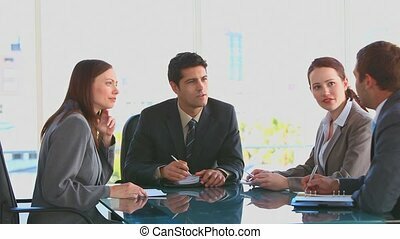 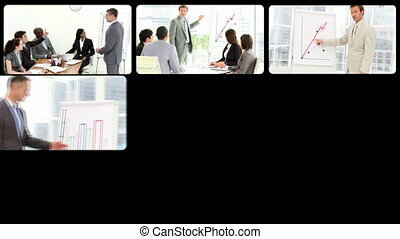 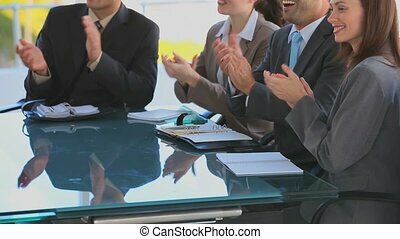 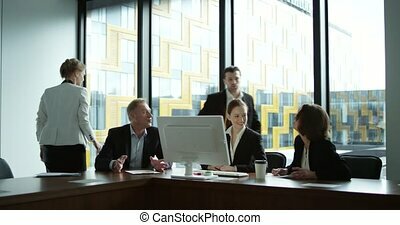 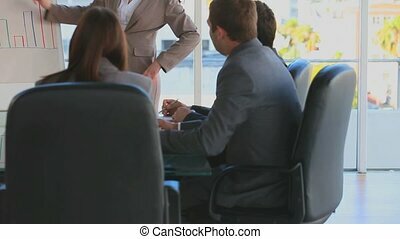 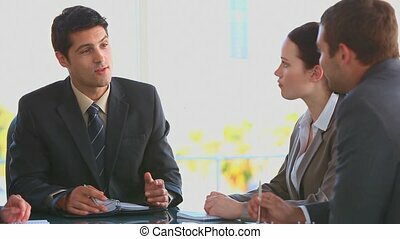 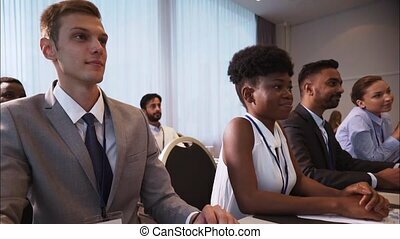 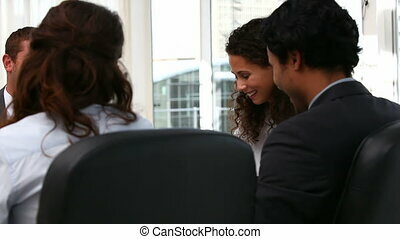 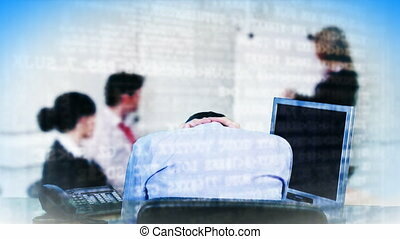 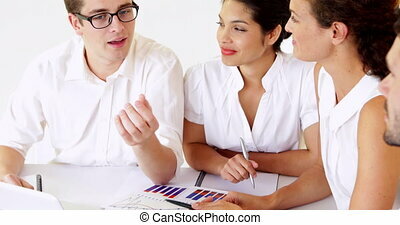 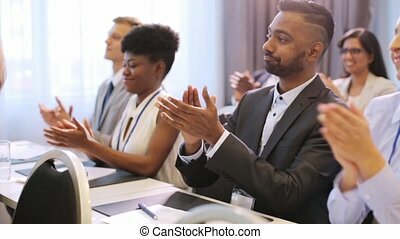 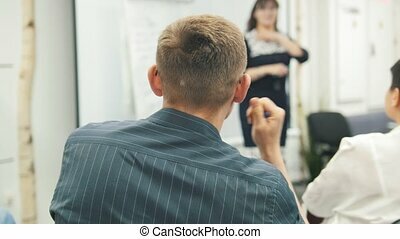 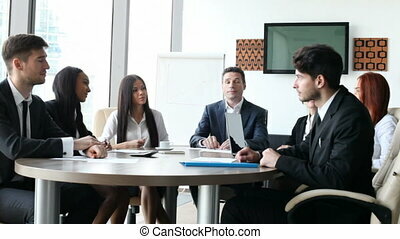 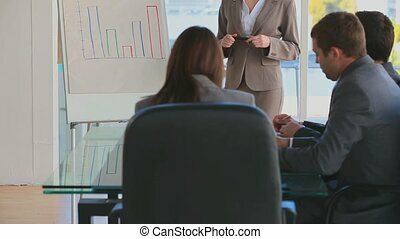 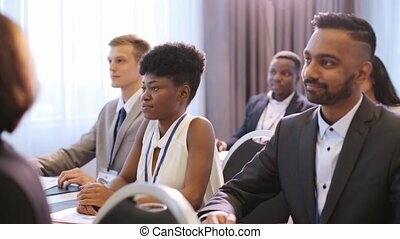 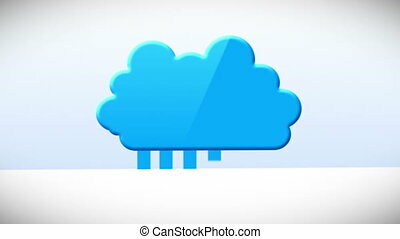 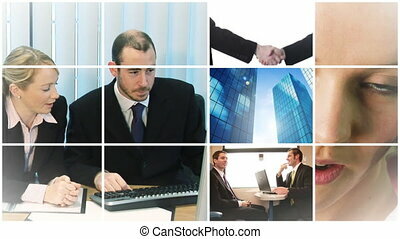 Happy European business people talk simultaneously to colleagues at multiethnic modern office team meeting slow motion. 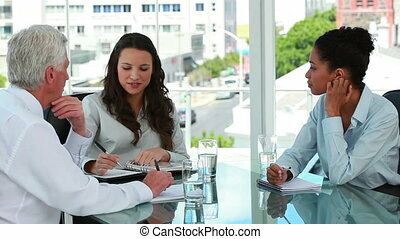 Cheerful enthusiastic young bosses speak about company future partnership.